Are you like me where you love the crafts, but hate the mess that storing crafts can make? 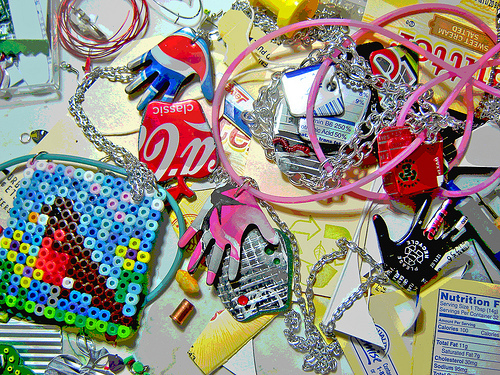 It can be ridiculously hard to store crafts without creating a mess in the process. And, you know how hard it can be to find what you need for your crafts when you can’t find anything!! Well, today I’m going to show you how you can clean up your mess and organize your crafts in super cute and clever ways. 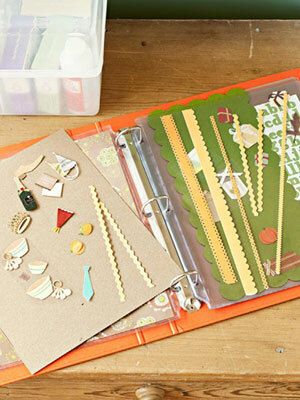 Let me know your thoughts or if you too have a clever way to organize your crafts. Better Homes and Gardens got it right with this awesome craft organizer. 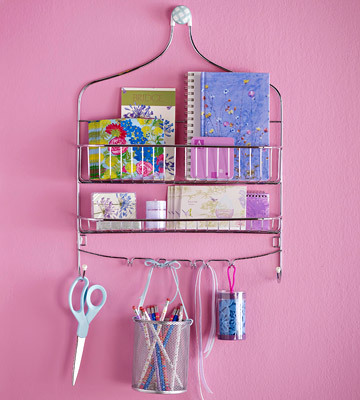 Notice how they used this shower rack to store their scissors, pencils and paper. And, it looks good too. Look how nice this craft area looks. 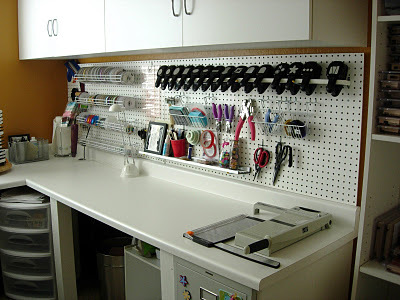 They simply use a Pegboard to hang all their important craft items in easy to reach spots. Check out i Stamp to get all the details. This is a great idea to organize your kids’ crafts. You know how cluttered your kids’ room can be with crafts. Well, Brady Lou has the right idea…..use a shoe organizer to clean up the craft clutter. Now how cute is this organizing method….. so cute!! 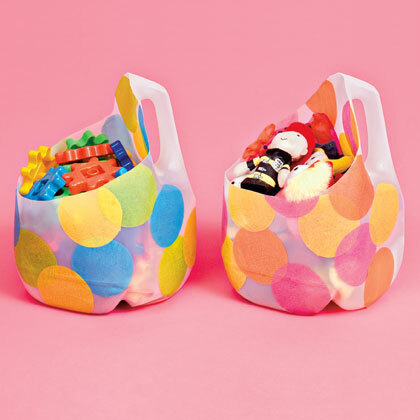 Use decorated totes to organize your craft items. 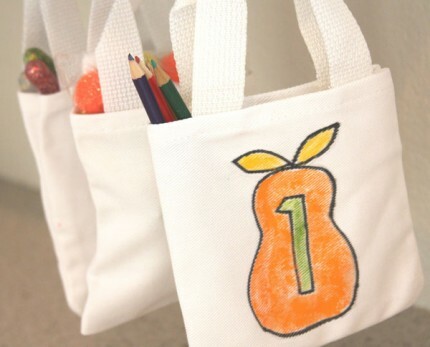 Giverslog tells us how much easier it is with the totes to take the craft items from the closet to the craft table. Smart thinking!! No need to rub your eyes…. you are seeing this image right!! 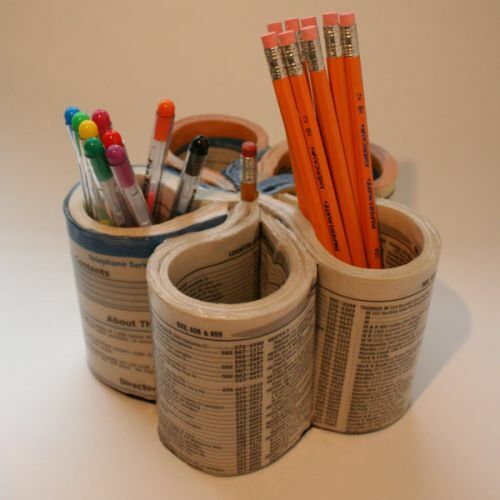 Chica and Jo shows us how to turn a simple phone book into the most clever pencil holder. Or, use it for other craft items like paint brushes. I love these milk jugs…. not only are they craft savvy, but they are also so pretty to look at. Family Fun outdid themselves with this craft. Make as many as you need to clean up your child’s messy craft area. This is a simple craft, but a very useful one. 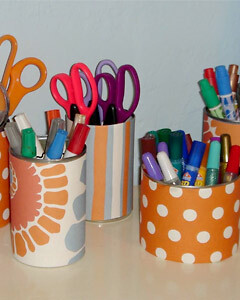 Notice how TheNest transforms simple soup cans into the perfect desktop craft organizers. I thought this was super duper clever. 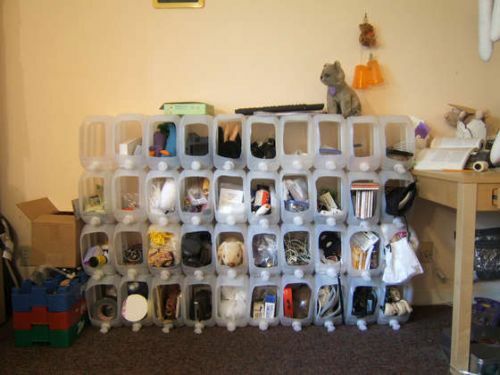 Instructables shows us how to take water jugs to store anything….. I figured this would be perfect for storing all kinds of craft items. Keep in mind, before you can make this clever organization method you will have to drink A LOT of water. But, imagine how much healthier you will be for it. This is a simple method, but it can be oh so useful. Take an everyday binder and add clear sheet protectors. Good Housekeeping shows you you will then have a savvy way to store your needlepoint or quilting patterns. And, there you have it. I just showed you 8 clever ways to organize your crafts to get rid of the mess. Which one are you going to give a try? Or, do you have a clever way to organize your crafts that I didn’t talk about here? If so, please let me know. Make sure to leave me your methods in the comments below.